The Linksys Business Dual-Band Cloud Access Points provide a secure, high-speed Wi-Fi connectivity, and advanced security and management features so staff and members can bring their own devices to the workplace, and can stay connected to the network. With the new Linksys Cloud Manager, you can conveniently check and manage your Linksys Business Cloud Access Points’ networks anytime and anywhere. Follow the steps below to learn how to access the Linksys Cloud Manager. Make sure your access point has been set up. For instructions, click here. 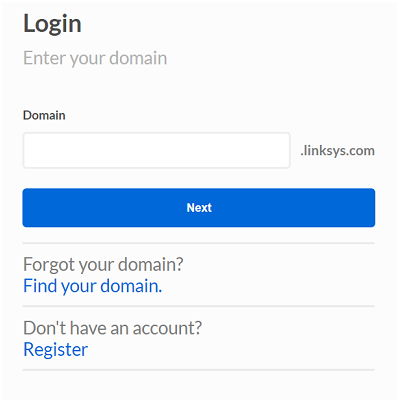 Launch a browser and go to http://business.linksys.com. Enter the Domain name you created. If you have not done this step, click here for instructions on creating a Cloud account. 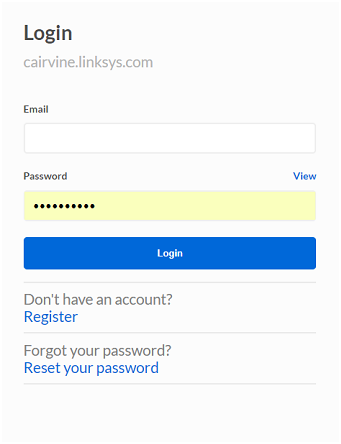 Enter the email and password associated to the domain and click Login. You should now have successfully accessed your Linksys Cloud Manager.